WASHINGTON -- The U.S. government is losing money on the penny, the Wall Street Journal reports. The paper said it cost 1.5 cents to produce each penny in the 2016 fiscal year. 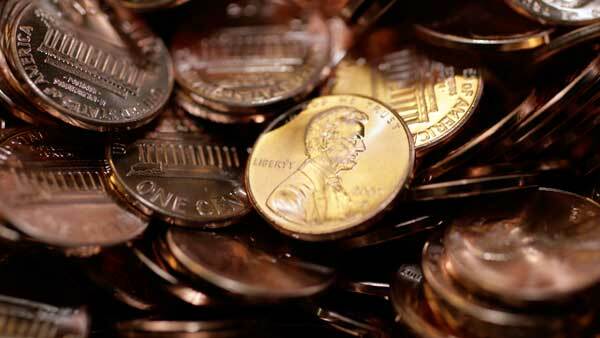 U.S. Mint and the government have been looking at ways to lower production costs on the copper-coated zinc coin, but so far no one has come up with a solution. Nickels are also a money loser, the newspaper said. The government traditionally makes money by producing quarters and dimes.